To update the footer copyright text which appears at the bottom of the template complete the following steps. 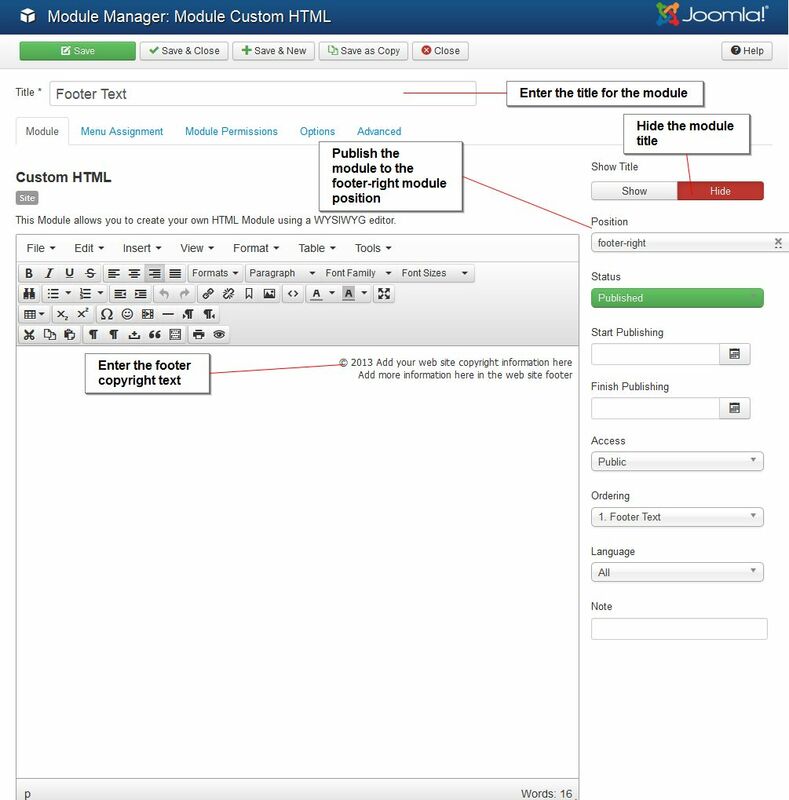 The first step is to log into the Joomla administrator area of your website and create a custom HTML module. To create a custom HTML module select the Extensions menu and Module Manager menu. Now select the green new button to create the module. You will now see a number of options to choose from. Select the “Custom HTML This Module allows you to create your own HTML Module using a WYSIWYG editor” as show in the screen shot below. After you have selected the Custom HTML option you can now setup the module to include the footer copyright text as show in the screen shot below. 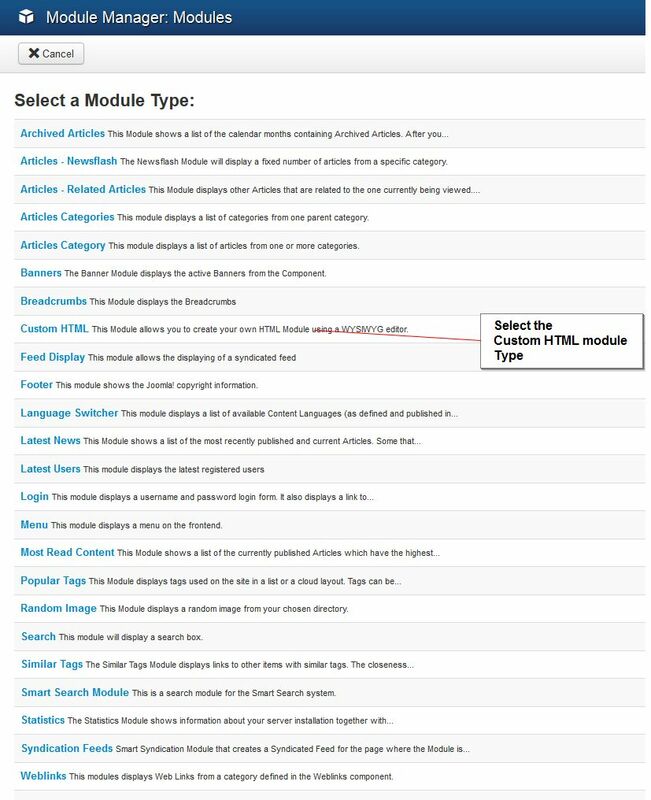 Once you have setup the Custom HTML module and assigned the module to all menu items select the save button to save the settings. The footer copyright text will now appear in the bottom right of the template and be displayed on all the pages at your site.